The Facebook "like" button was one of the social media website's most popular features. But now Facebook has added more emojis that users can click on to quickly express their feelings about a post. The five new buttons, called Reactions, are love, haha, wow, sad and angry. Facebook has been working on the feature for more than a year. The company looked at how people commented on posts and used emojis to share their feelings. The company tested some possible reaction emojis with some users. It said it found most people liked the addition. Reactions are available both on the Facebook website and on the app. Right now, users can add Reactions to posts, photos and videos but not comments. To use Reactions on Facebook just click the Like button. All of the possible Reactions appear. Choose one and click on it. There is also a video that explains how to use Reactions, if additional help is needed. If you do not see Reactions in the Facebook app, close the app and then reopen. Reactions should appear. 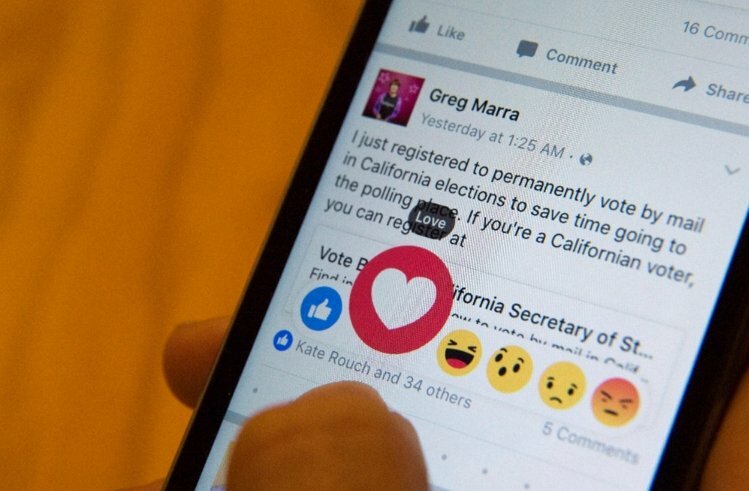 Now Facebook shows the top three Reactions people have used on a post, photo or video. Clicking on Reactions show how many people posted them and who those people are. The new feature helps users react more sensitively to the nature of posts, especially when they report unwelcome news. Now, friends can share sadness with the sad Reaction. You can also go beyond Like and add the heart Reaction to show your love. Might romances start with a Love Reaction? The new feature may be helpful during the current U.S. presidential election season. However, Reactions could also create confusion. For example, a user might post about a candidate with a political position he or she disagrees with. A Facebook friend might react with the Angry emoji. Is that friend angry about the candidate, the position, or the person who posted? You click on the menu, and it drops down. He was looking ahead vigilantly. 1.Facebook has been working on the feature for more than a year. The company looked at how people commented on posts and used emojis to share their feelings. She's presently working on her PhD. 2.You can also go beyond Like and add the heart Reaction to show your love. This year's sales figures go beyond all our expectations, iie are much better than we thought they would be.